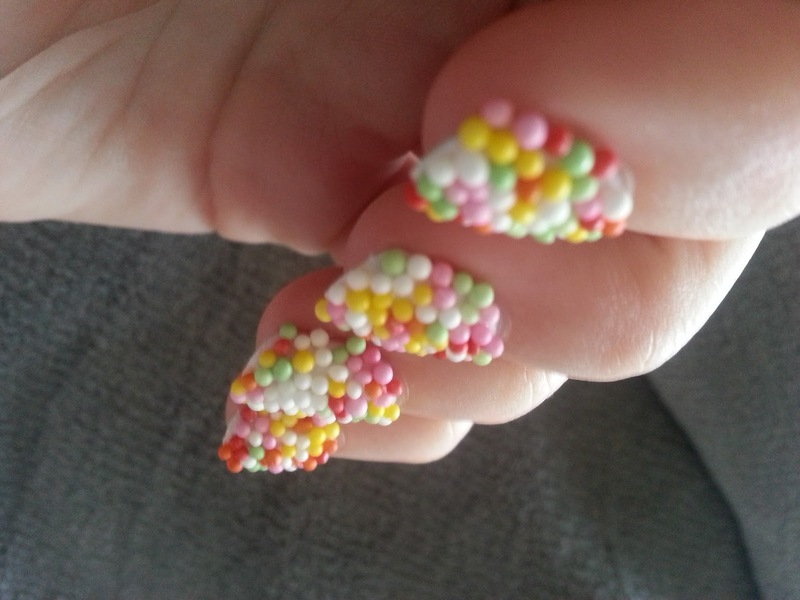 Do I need words for this? 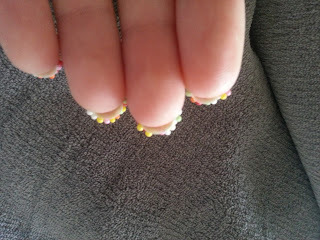 It's just a superfun, supereasy manicure that feels really weird. 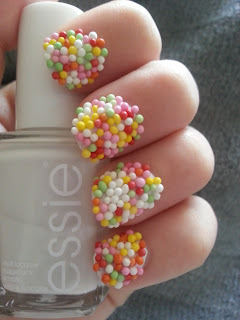 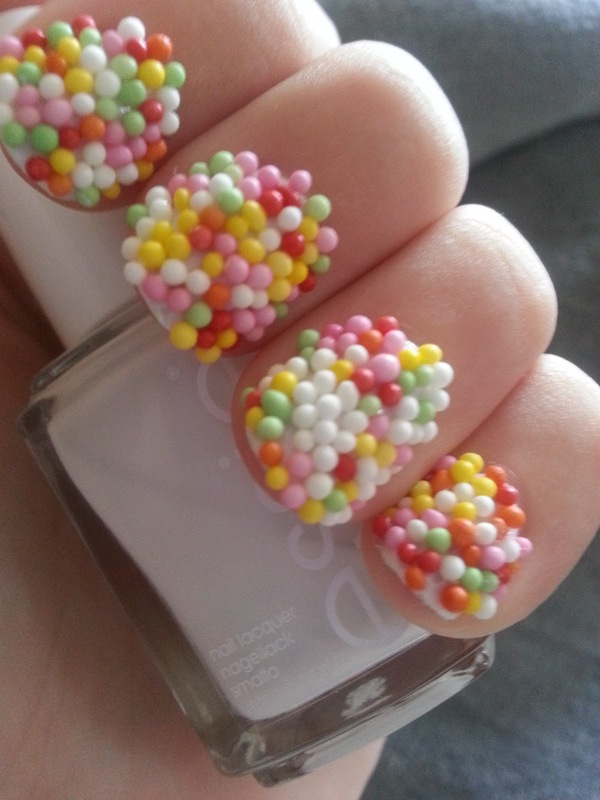 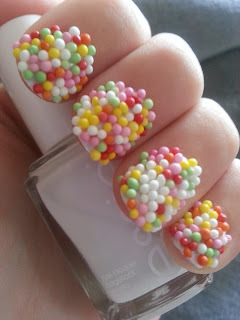 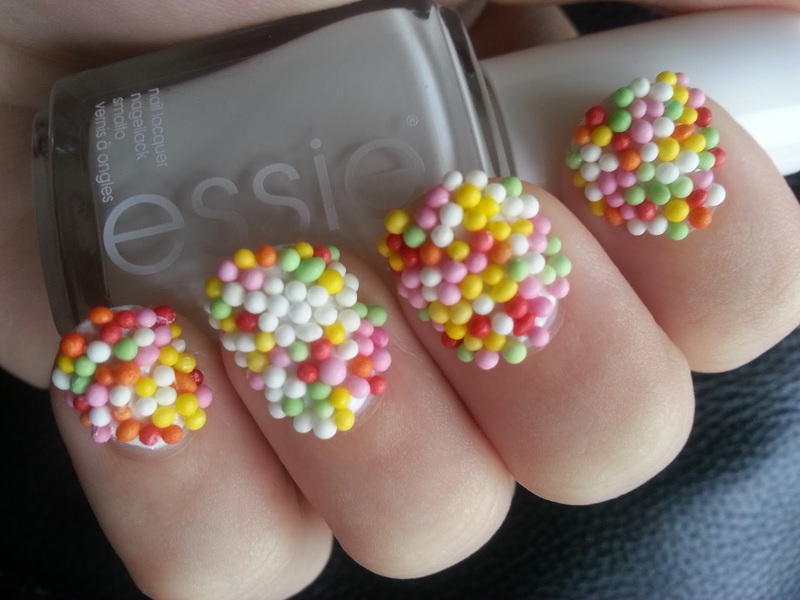 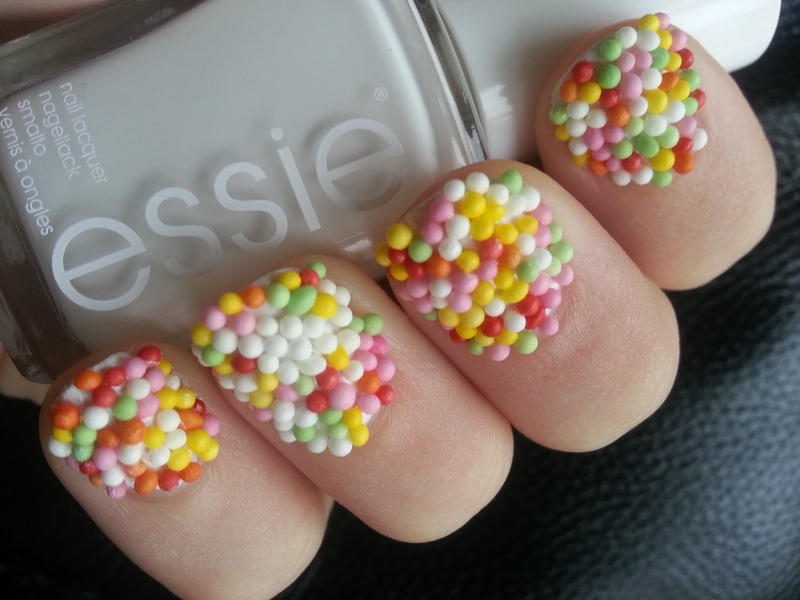 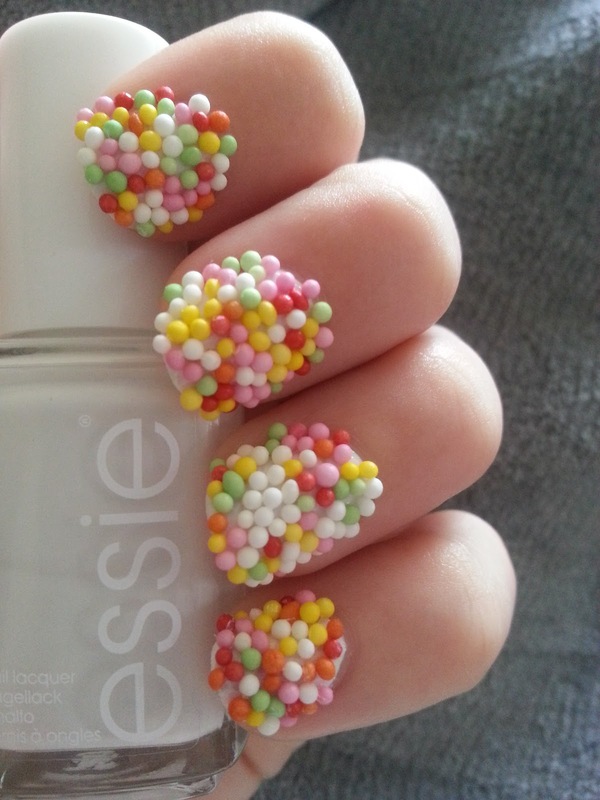 I bought a pack of cupcake sprinkles for less than €2, painted my nails two coats of Essie Blanc and while my top coat was still wet, I pushed my finger into the sprinkles. Carefully pressed the sprinkles into place et voila! I didn't add a top coat over the sprinkles because I was taking this mani off after the pictures anyway.